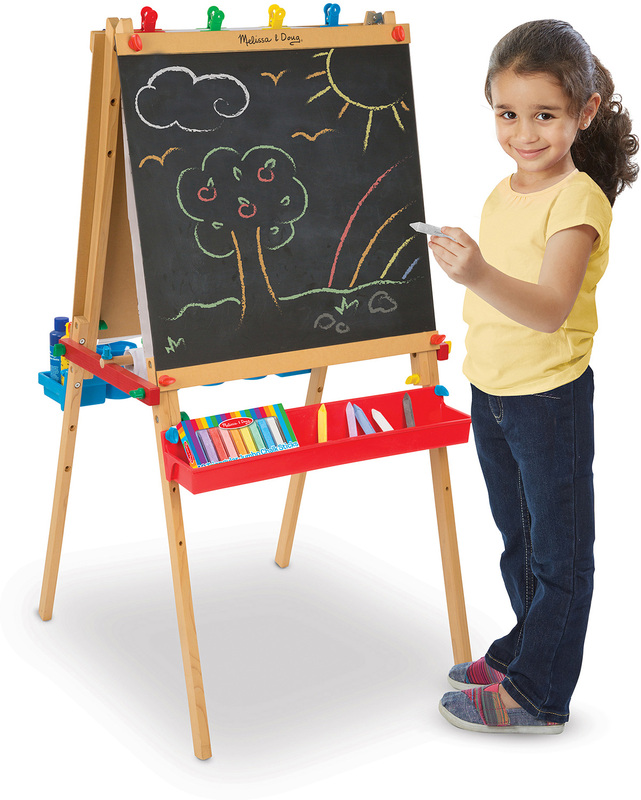 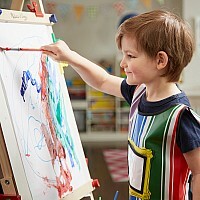 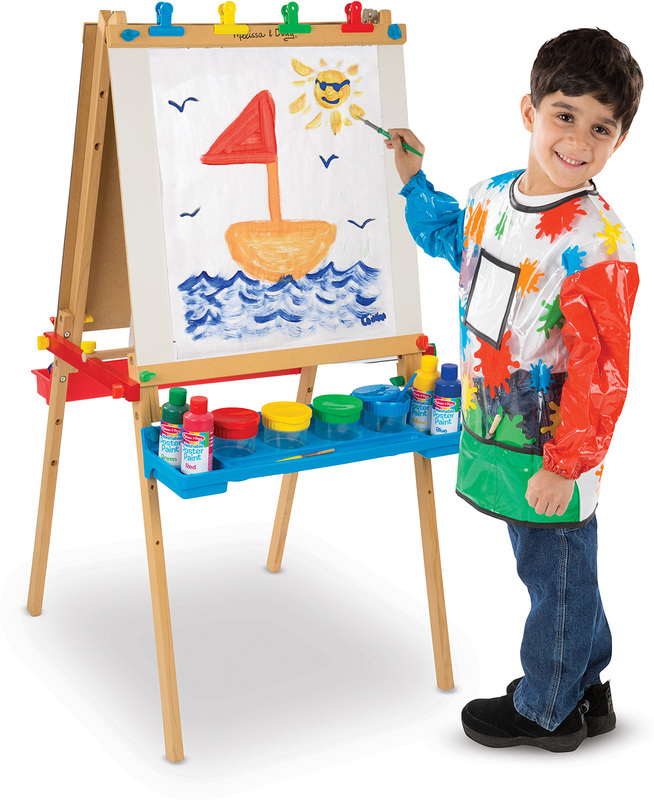 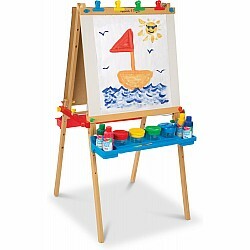 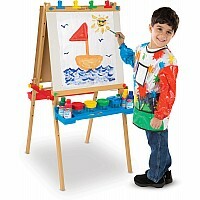 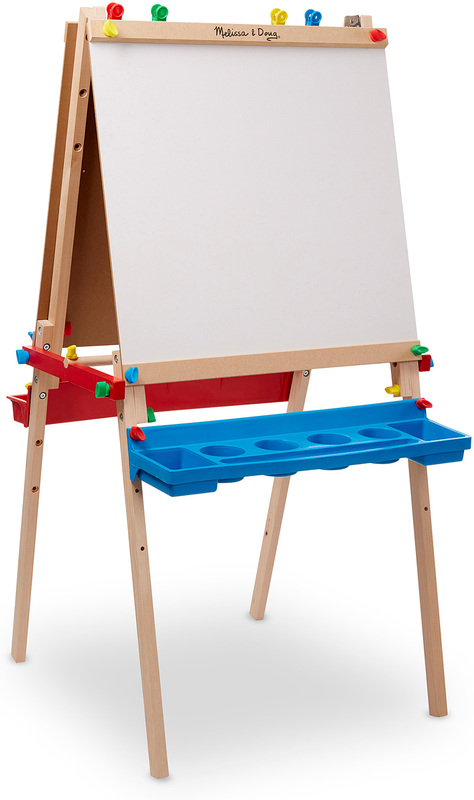 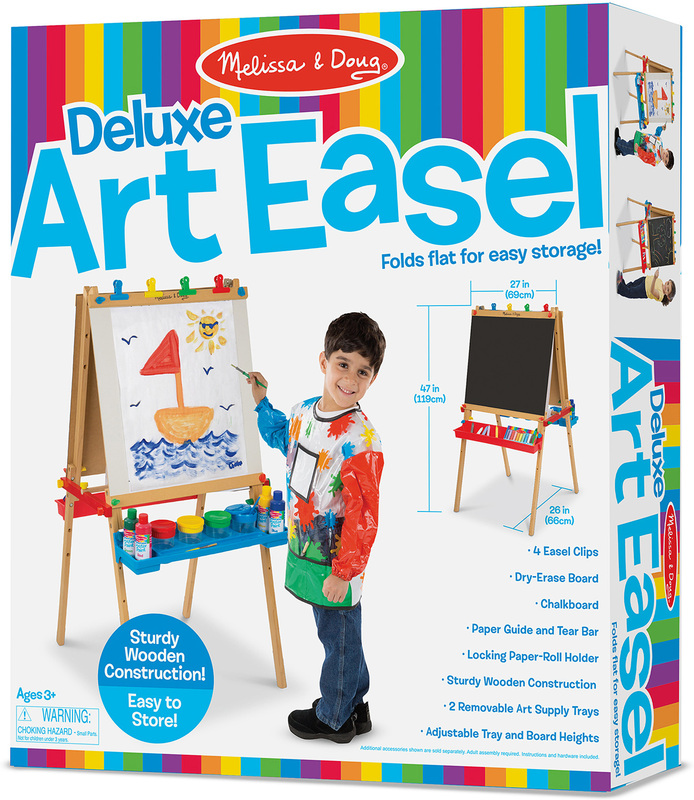 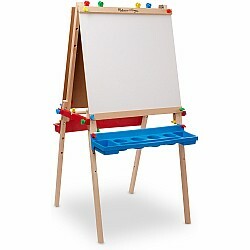 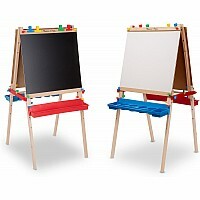 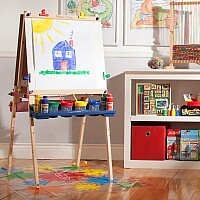 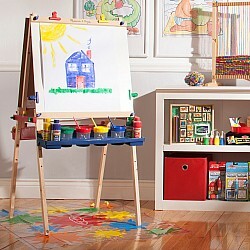 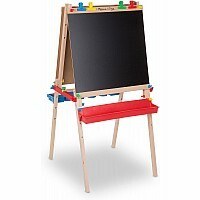 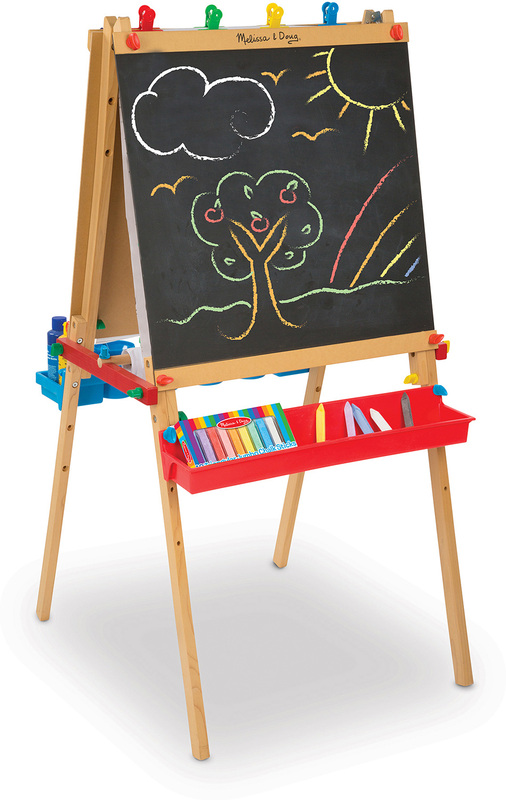 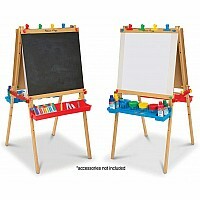 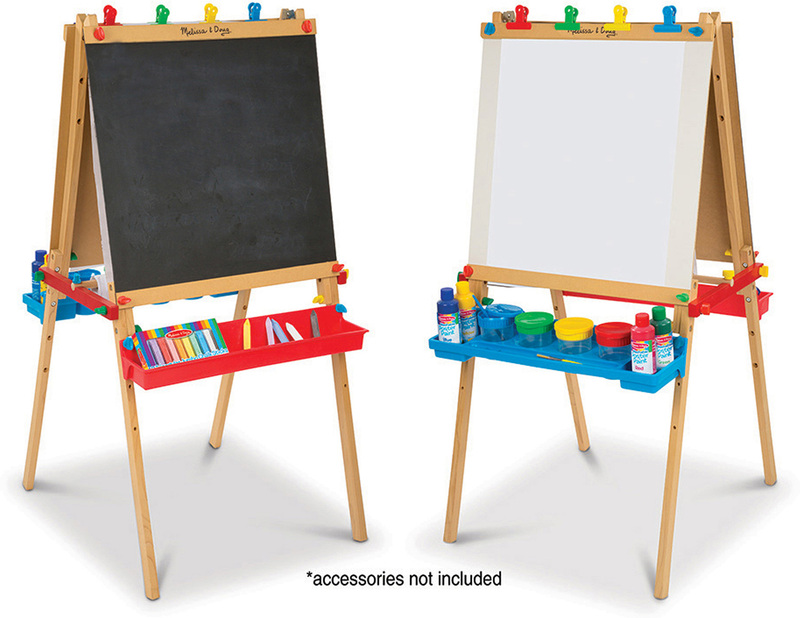 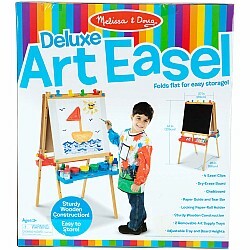 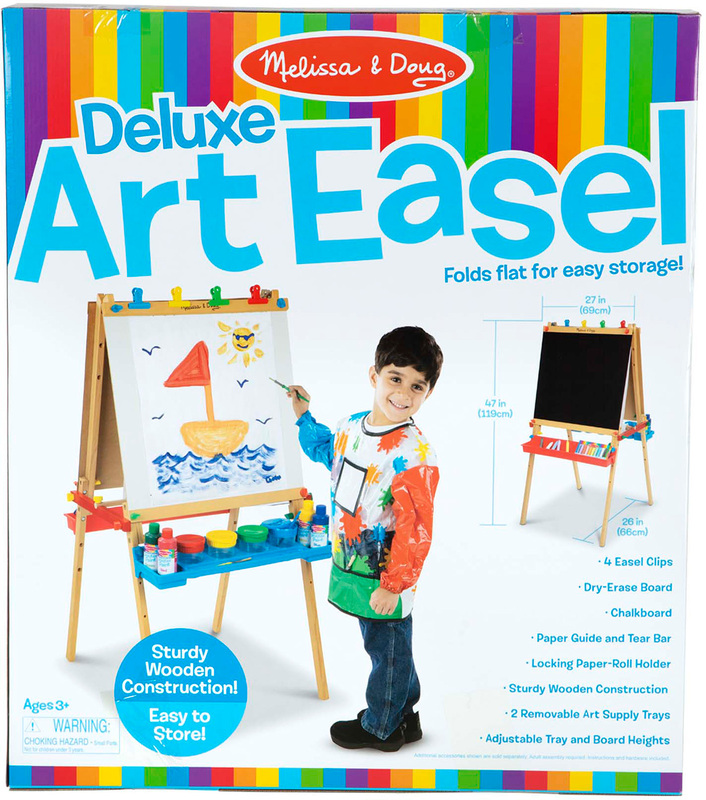 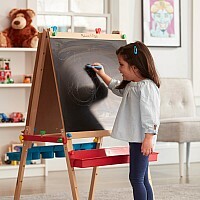 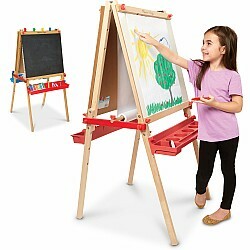 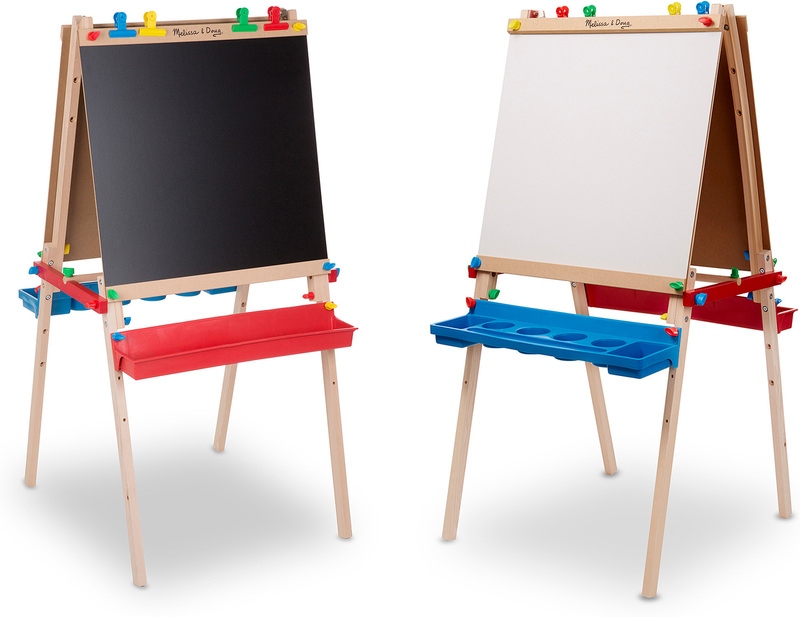 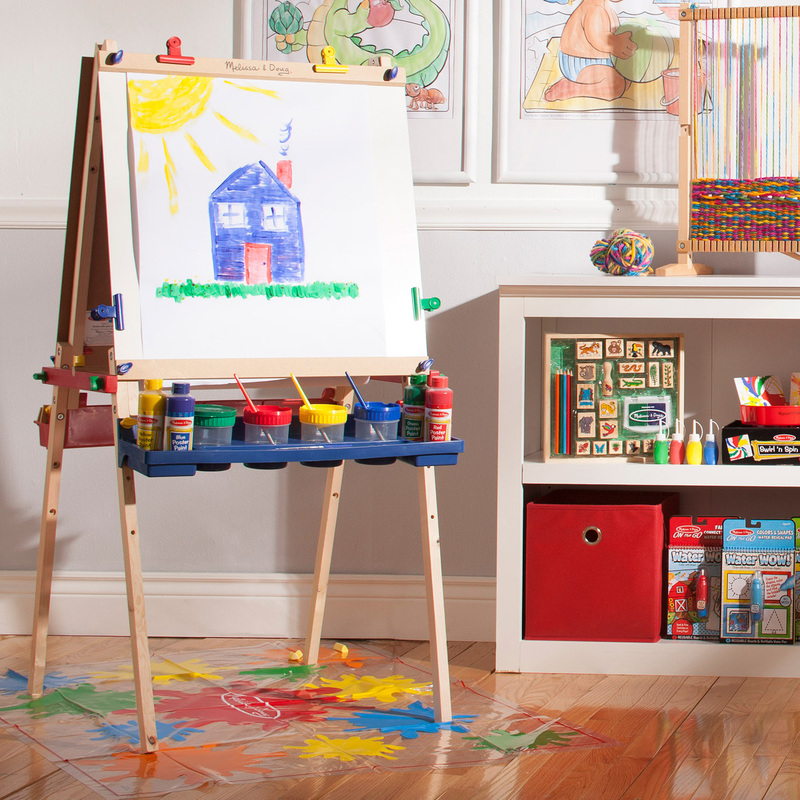 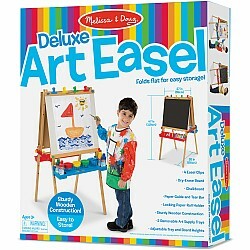 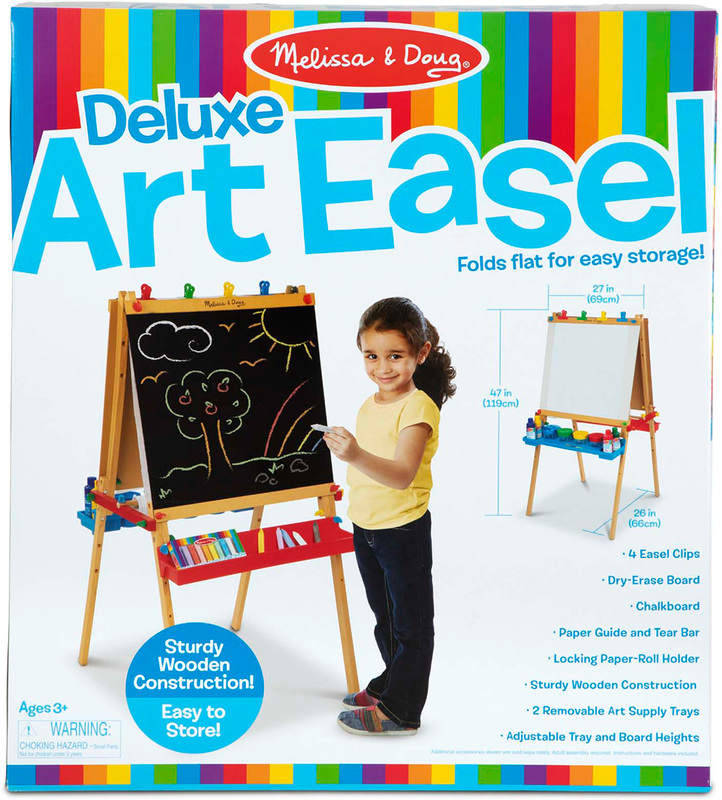 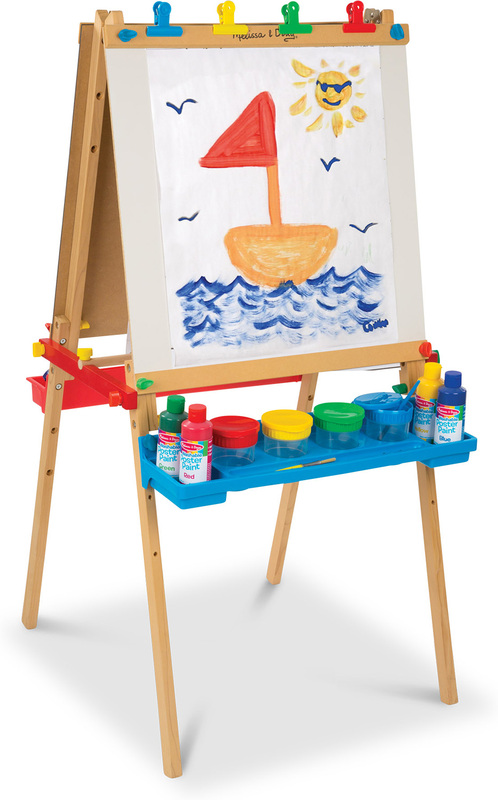 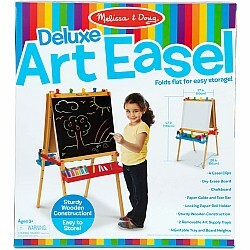 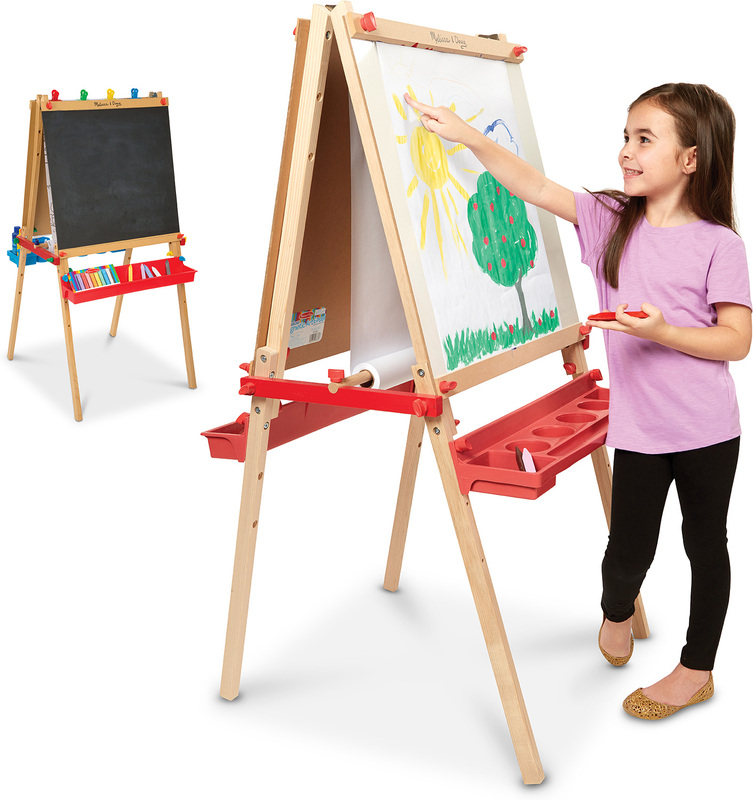 Make any room an art studio with this double-sided, adjustable-height easel. 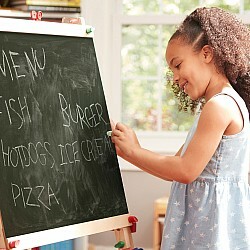 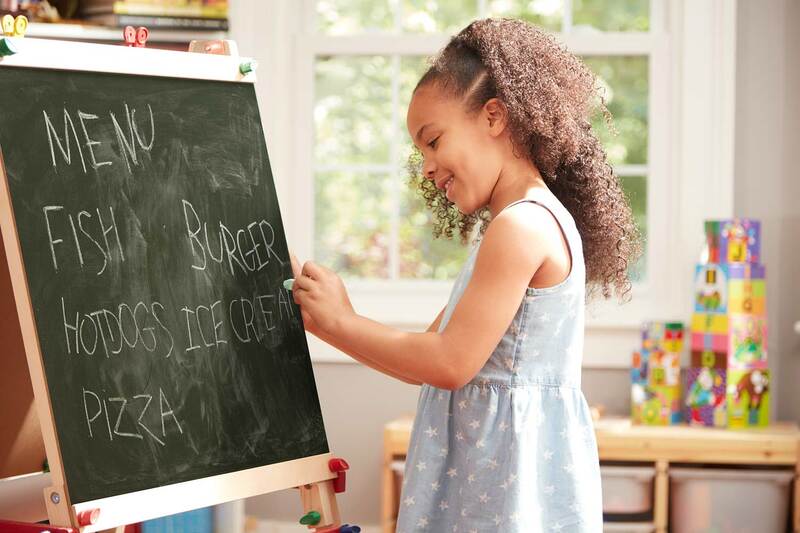 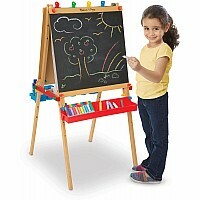 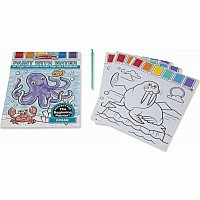 Includes a dry-erase board, chalkboard, locking paper-roll holder, child-safe paper cutter, and 4 easy-clip grips. A plastic tray on each side holds art supplies (not included). 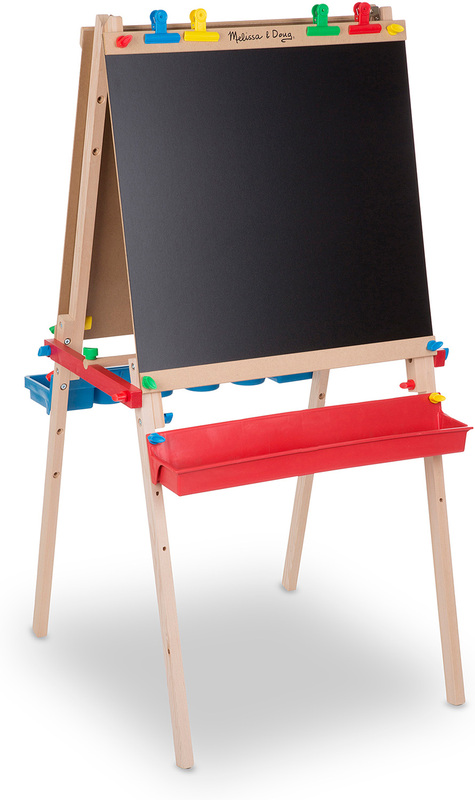 Assembly is easy, so there's little waiting for the next masterpiece! 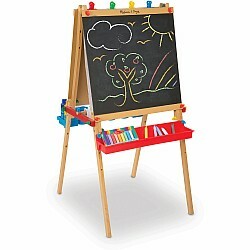 Measures approximately: 6.00 x 25.20 x 29.50 inches..